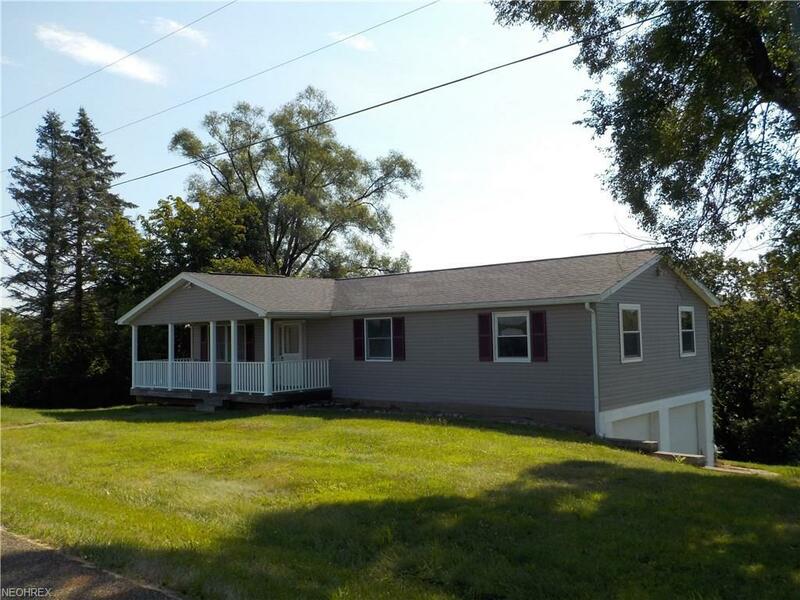 This Franklin Local School Diistrict Vinyl Ranch with 3 Bedrooms 1 & a Half Baths was Built In 1976. The home sits on "TOP OF THE WORLD" over looking The Distant Hills and the Valley Below, Just 2 Miles from the City Limits. Includes a Walk Out Basement with a 2 Car Garage, The Main Floor Rear Foyer could be easily turned into a Main Floor Laundry, .The Front Porch, Roof and Siding, Garage Doors are all Resent Updates, The Half Bath Off the Master has the Space to be updated to a full by adding a Shower. The Basement Has Extra Ceiling Height and could Easily be Finished for Additional Living Space. The Living Room is Huge and all the Bedrooms are of Ample Size. This Home is Priced to Sell and is Quite a Value !